Hear about NEW MUSIC: NEW AUDIENCES, an international network focusing on developing new concert formats for contemporary classical music. And hear how what it demands of you, as organizer and artist, to launch new ways of performing and meeting your audiences. 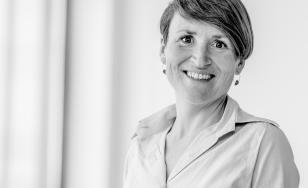 Sine Tofte Hannibal is General Manager in Danish Composers Society and assisting project manager at their EU supported network of new music ensembles focusing on audience engagement: ‘New Music : New Audiences’. Her task was organizing and performing workshops, planning research, evaluation and documentation of concerts, assisting project development, doing interviews, developing planning tools for creating new concerts and more. Sine has a master in Modern Culture and Cultural Communication, Musicology from the University of Copenhagen. Sine is also working as semiprofessional singer in choirs.